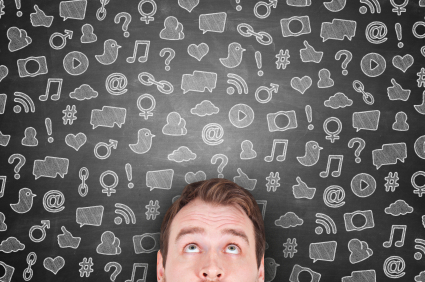 So what’s new about multi-channel marketing? Well, I know I’ve been in marketing for a long time. But I can’t help raising a wry smile when I hear today’s up-and-coming extol the virtues of this or that media channel, and propose it be used as a marketing tool. Occasionally (too rarely) they even suggest testing and measuring results. And the listener is left with the impression that direct marketing is all their very own invention. There is no doubt the media opportunities have evolved beyond recognition since the direct marketing of the ‘90s. As well as traditional channels like direct mail, loose inserts, press ads, telemarketing, package inserts – all of which are, when appropriately used, an effective part of the marketing mix – we can include email, websites, e-commerce, mobile commerce, apps, social networks, blogs, e-newsletters, microsites, links, PPC etc etc. And it’s not only the number of channels that has expanded. So has the number of vessels which deliver our communications every day. Technology’s exploded into smartphones and iphones, tablets and ipads, readers, smart TVs, pcs, laptops, Macs. Print media is also evolving – with more advertising in return for free information, QR codes to integrate with new technology, and a greater degree of personalisation within customer communications. To cope with the diversity and range of channels, marketing platforms are evolving to help businesses integrate their marketing and make it customer-friendly. Of course the prolific nature and ongoing evolution of marketing channels drives a correspondingly diverse number of “experts” who offer a range of “optimisations” – search engine optimisation, conversion optimisation, click-through optimisation, social media optimisation and so on. But what I find so interesting is that, despite the new and continuously evolving channel opportunities, the basic principles of direct marketing are unchanged. It’s still a science that involves data, analysis and insight, media choices, creative and design, pricing, branding, product, offer, research, communication, delivery and customer service. And it’s still about identifying and understanding the customer. Testing data, channels or media, offers, products, new ideas, new creative / copy, response and delivery mechanisms is still an essential part of the process. And, vitally, it’s still about identifying and measuring the business’s key metrics ongoing to provide insight and refinement of ongoing, healthy and integrated activity. Certainly there are significant shifts in consumer behaviour – they are more sophisticated, with a shorter attention span. They are hit by multiple messages about multiple products and services from multiple businesses via multiple devices. The lines between above- and below- the-line advertising have blurred to the point of oblivion – which does make the measurement of individual media channels a little more challenging. But ultimately, the aim of any successful business has to be to deliver appropriate and seamless services, products and communications to its customers, while allowing the customer to deliver communications back through the channels of their choice. And the company that can achieve that is the company that will succeed, both now and in the future. © Victoria Tuffill and Tuffill Verner Associates, August 2012. Unauthorized use and/or duplication of this material without express and written permission from this blog’s author and/or owner is strictly prohibited. Excerpts and links may be used, provided that full and clear credit is given to Victoria Tuffill and Tuffill Verner Associates with appropriate and specific direction to the original content. This entry was posted in Business Sector, Education, Marketing, Marketing, Multi-channel, Uncategorized and tagged analysis, data, digital marketing, direct marketing, insight, linkedin, multi-channel marketing on August 30, 2012 by Data Compliant.